Introducing seamless video communication on any device and from any browser. Oslo, Norway, 3rd February 2016 – Videxio, a leading cloud video service provider, today announced a series of new partner-branded software applications including the extension of the My Meeting Video client to Android and IOS tablets and introduction of browser plug-ins enabling support for Internet Explorer and Safari. These product enhancements reflect Videxio’s mission to make business communication easy, fun and productive. Tom Erik Lia, Co-founder, CEO, Videxio. The My Meeting Video client, launched in 2015, has been an outstanding success with Videxio users. In the spirit of any device, anywhere, we have now extended the range of devices that support the client to include Android and iOS tablets. 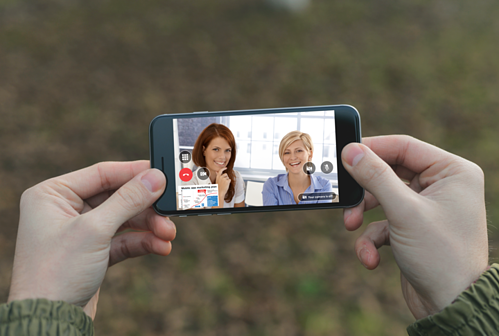 Users will now be able to connect point-to-point from a PC, Mac or Android and iOS tablets with any standards based videoconferencing systems, or include Microsoft Skype4Business, WebRTC (browser-based video) and audio participants in a multipoint conference. The new tablet version simplifies the user experience enabling one-click to join or to invite colleagues, as it fully integrates with users scheduled meetings and contacts. Direct browser access gives users access to high quality audio and video communications directly from their desktop without the need for a dedicated video endpoint or software client. This simplifies large-scale deployment of video communications and makes it easy to invite any team member or guest into the conference using the browser of their choice. The Videxio service has previously supported Chrome, Firefox, and Opera. With today’s announcement, it also supports Internet Explorer and Safari. According to Robert Arnold, Principal Analyst at Frost & Sullivan, "WebRTC presents a shift away from traditionally rigid on premise products to more flexible software and cloud-based video solutions for business users. The integration of this functionality into a cloud video conferencing service means that Videxio partners will be able to deploy WebRTC to accelerate the widespread usage and adoption of business quality video." The bottom line? Seamless collaboration between users on any device and any browser including traditional video conferencing, Microsoft Skype4Business as well as audio conferencing. The new client and browsers will be demonstrated at booth 9-D130 at ISE in Amsterdam from 9th – 12th February 2016 and will be commercially available in February 2016.